Edmar being fitted for a prosthetic. Preparing for the final fitting. On two feet for the first time in over one year. A very special moment for Edmar and his family. 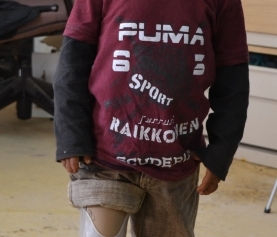 We are happy to announce that Edmar, a prosthetic recipient sponsored by Refuge International, is now walking again for the first time since his leg amputation over a year ago. 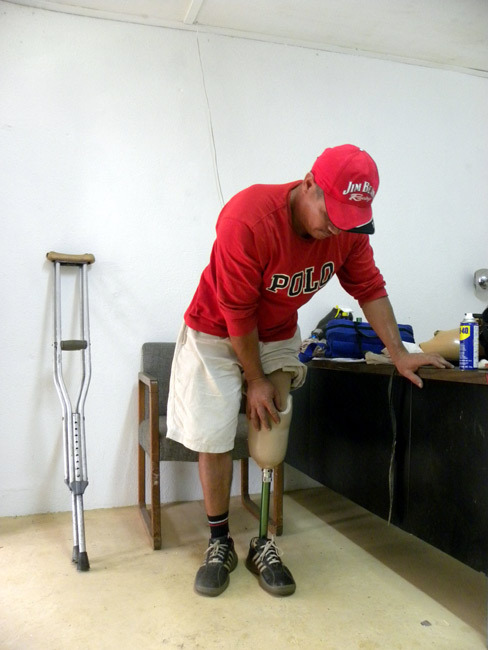 Edmar visited a clinic in San Raymundo in February of 2009 with a serious infection in his leg following an accident. His personality and constant cheerfulness enlightened others in the hospital and made him a favorite with doctors, nurses and volunteers. Nancy Neuman, a Refuge International member, reached out to Transitions to help this special individual. Nancy remembers Edmar’s emotional introduction to the Transitions Foundation staff. Thankfully we were able to connect all the dots and arrange for Edmar to be seen by the Transitions team and evaluated for a prosthetic. 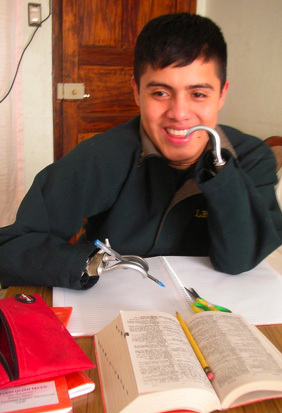 At some point in the interview, [Fredy, a wheelchair workshop specialist and prosthetics assistant] entered the room, who appeared completely able bodied. 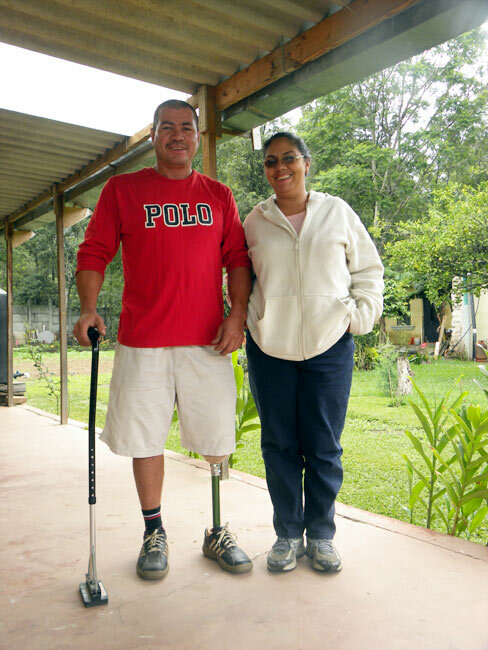 When he pulled up his jeans, though, Edmar could see that he had the exact same amputation, the only difference being that he was wearing a prosthetic that allowed him to walk without even a limp. I will never forget the look on Edmar’s face and then the eventual welling of tears in his eyes as he put it together. Unable to work up to that point and using crutches for the past year, I could see the dawning of a whole new life of possibilities wash over his face. It was an incredible moment. When asked about Refuge International’s interest in sponsoring Edmar, Nancy’s position was clear. Well, how could we not? Here was an individual who for just a small amount of financial help could have a completely different life. And this was a grateful man… a person who more than likely will give back more than what was given to him. It would have been foolish not to invest in this man. When the mind and the heart sum it all up, Edmar deserves this chance. We are fortunate to be a small part in his life story. This success story would not be possible without Refuge International. Transitions Foundation would also like to thank Nancy Neuman for sharing her experience with Edmar.